Today, most people agree that a nice smile is an important social asset. Straightness and whiteness are the two primary factors people notice when it comes to smiles. 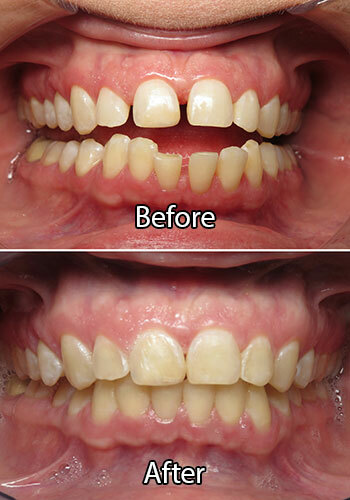 If you are one of the millions of Americans suffering from a lack of confidence, or embarrassment of your smile due to crooked teeth, we may have the perfect solution for you! With Six Month Smiles® or ClearCorrect® we can straighten your smile discreetly, and in a fraction of the time of traditional braces. Six Month Smiles® is a revolutionary spin on traditional orthodontics. 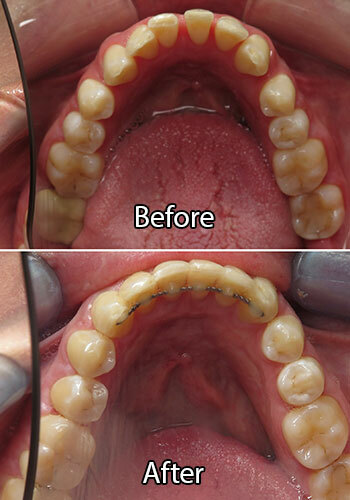 Traditional braces are still the most widely used and most tried and true way to effectively straighten teeth and correct bite problems. Six Month Smiles® takes the best aspects of traditional braces and modifies the treatment and materials to fit a more modern, aesthetic lifestyle. 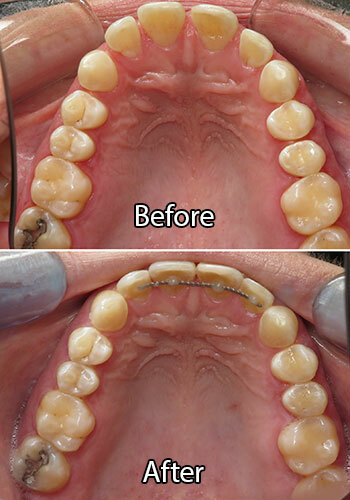 Rather than unsightly metal, Six Month Smiles® uses clear brackets and tooth colored wires that blend in with your natural teeth, allowing your smile to shine through treatment. 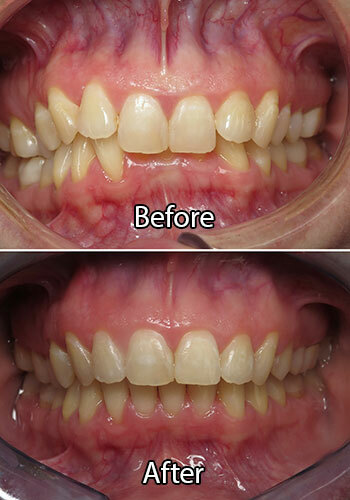 By focusing only on aesthetic results rather than bite correction, Six Month Smiles® is able to achieve dramatic cosmetic results with average treatment times of only six months! 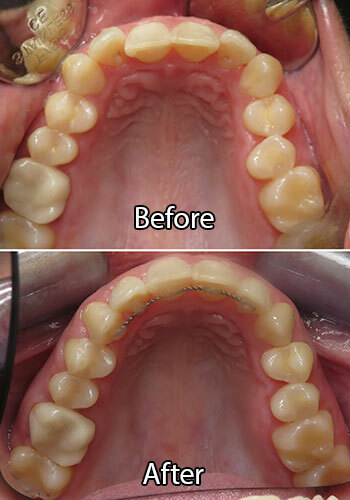 If you are an adult or a teen that may require significant bite correction or alteration, you may not be a candidate for Six Month Smiles®. The only way to find out for sure is to schedule a comprehensive consultation with your Hillsboro dentist. If you like the idea of alternative orthodontics, but still don’t want to deal with traditional braces at all, we understand. That’s why we are happy to offer clear aligner therapy with ClearCorrect®. ClearCorrect® is essentially the same as Invisalign® and provides virtually identical treatment plans and the same great results. The difference, however, is that ClearCorrect® is an American company with products designed and manufactured right here in the heart of Texas! ClearCorrect® has been helping people achieve straight, beautiful smiles without the embarrassment of braces since 2006. ClearCorrect® is generally more affordable than Invisalign®, offering lower fees without compromising on quality or customer service. ClearCorrect® uses a series of clear plastic aligners, designed custom just for you, to apply pressure and gently shift teeth into their desired position. ClearCorrect® is a virtually invisible teeth straightening solution that lets your smile shine through treatment. Is ClearCorrect® right for me? 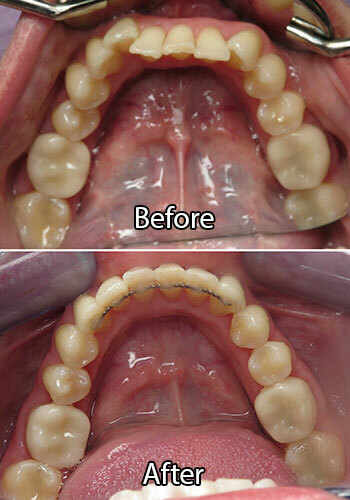 If you’re looking for a way to straighten your smile, without the embarrassment of metal braces, we would love to help you with our modern orthodontic options. Come in for a consultation and find out which option is best for you! If you have any questions about Six Month Smiles® or ClearCorrect® or would like to schedule a consultation with your Hillsboro, TX dentist, Dr. Ryan Cowan at Cowan Family Dentistry, give us a call today at (254) 582-9555 or schedule a visit online! *Dr. Ryan Cowan is a general dentist providing orthodontic services.